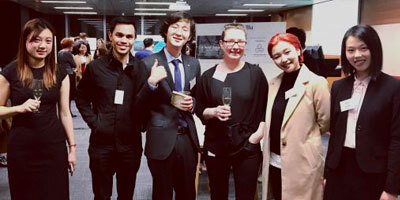 The Melbourne Business School&apos;s Master of Management (Accounting and Finance) provides foundation and advanced studies in the disciplines of accounting and finance. Advanced levels of knowledge and skill in the two disciplines of accounting and finance are developed through a combination of core and elective subjects which will prepare graduates for entry into either the finance or accounting professions. The Master of Management (Accounting and Finance) is suitable for business/commerce students who wish to add accounting and finance to their portfolio. The University of Melbourne is a participant in the University Affiliation Program of the CFA Institute, the global association for investment professionals that awards the prestigious CFA designation. The Master of Management (Accounting and Finance) covers at least 70% of all three levels of the CFA program candidate body of knowledge (CBOK) topics, the CFA Institute ethical and professional standards, and other CFA program partner requirements. Recognition as a CFA Affiliated University signals to students, employers and the marketplace that the university curriculum is closely tied to professional practice and is well suited to preparing students to sit for the CFA exams. As part of the affiliation, students in the Master of Management (Accounting and Finance) are eligible for scholarships, access to CFA Institute curriculums, journals, webcasts, and other educational resources. Through the appropriate selection of subjects students are able to meet the professional requirements of CPA Australia and the Chartered Accountants Australia and New Zealand (CAANZ). Anna Wu: student, intern, teammate. 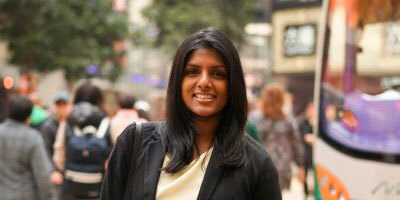 For Manela Gunawardena, a graduate degree from the University of Melbourne was an essential step towards her dream global career.